Tri-Polar (Deluxe) is a two-disc reissue of the band’s 2009 album Tri-Polar on Disc 1 with Disc 2 holding 2011’s Polar Opposite unplugged EP and a handful of B-sides. I wasn’t too familiar with Australia’s Sick Puppies before listening to this album. I really one remember them from a blurb in UK’s Classic Rock magazine awhile back. In regards to the current hard rock scene, I know the praise about them has generally been positive and they’ve had a number of U.S. rock radio hits but the only song that rang a bell with me was “You’re Going Down”. “You’re Going Down” is a decent radio-ready tune but didn’t knock my socks off and I was expecting more of the same from this album. Rock radio is full of that generic post grunge guitar crunch and I was thinking that was going to be the case here. When I finally had the chance to sit down and listen to this album, I was very happy to hear there is a much softer, melodic and introspective side than a song like “You’re Going Down” would have you believe. Not that this isn’t a hard rock album — it is! It’s just that there are so many catchy moments throughout the album with lyrics that I find easy to relate to. “Odd One”, “Riptide” and “Maybe” were great choices as follow-up singles from the original album but “I Hate You”, “So What I Lied” and “Should’ve Known Better” also had hit potential to my ears. 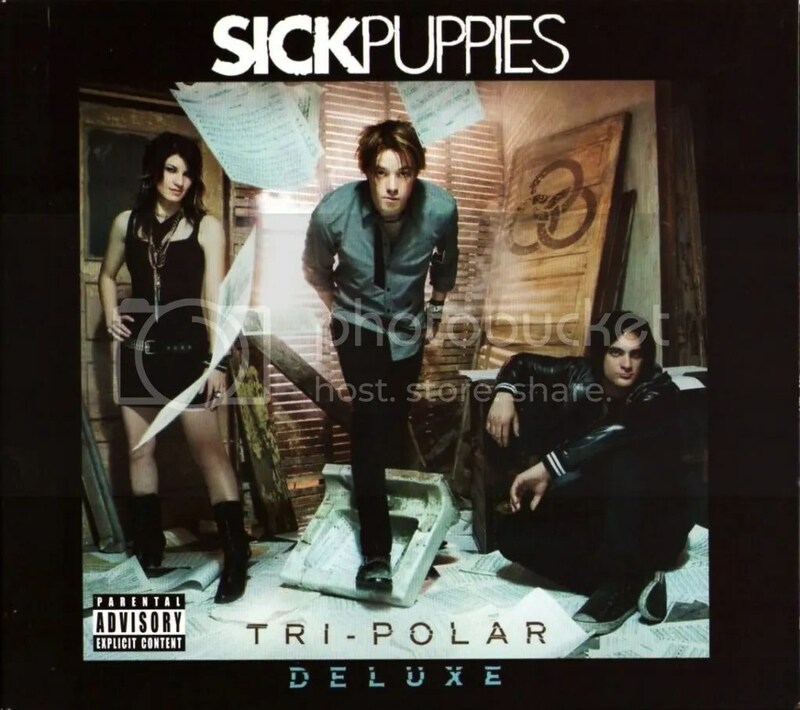 Based on Disc 1 alone, I am now a Sick Puppies fan. Onto Disc 2, the Polar Opposite portion is acoustic-based with some orchestrations thrown in on a song such as “White Balloons”. These stripped down numbers only further show that Sick Puppies have more to give than angry hard rock tailor-made for radio. It’s a deeper, more thoughtful side that I hope they continue to explore. All of the Polar Opposite tracks come off just as well as their Tri-Polar counterparts (“All the Same” comes from 2006’s Dressed Up as Life) and it’s interesting to hear a different take on them. As far as the B Sides go, those are fairly enjoyable as well with “The Pretender” really standing out as something that should’ve been on the album itself. The bonus track “Monsters” is a moody rocker that I also enjoy. While comparing Sick Puppies to bands such as Hinder and Avenged Sevenfold is like comparing apples to oranges to pineapples, this group really shows a lot of promise for a long and fruitful career. Like those bands I am glad they have more to offer when it comes to their albums and they seem like they are not afraid to grow and offer up something different. Tri-Polar (Deluxe) shows a band that rocks hard, writes songs that can stand on their own when stripped down and they can also produce thoughtful tracks such as “Odd One” and “White Balloons”. What a great young band. Buy ‘Tri-Polar (Deluxe)’ on Amazon.com!